Imagine your child in these long flowing locks and how much of a princess she will feel like when she is all dressed up. One size - fits most children. 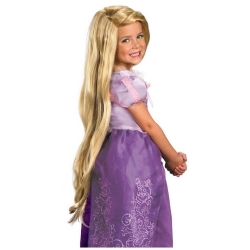 Officially licensed Rapunzel wig from Disney’s “Tangled.” Check out the Tangled Rapunzel costume for the complete Rapunzel look.